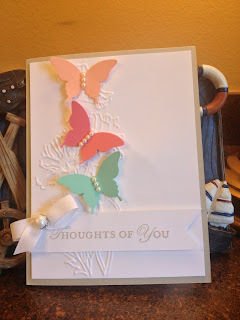 Sandi's Creative Connection: My Favorite Card! Ok I know the last four cards have been my favorites. Can't a girl have many favorites? I just can't help the fact that I loved all the cards we did in my last class. This card is elegant. That is what the ladies keep saying at the class and I agree. What do you think? 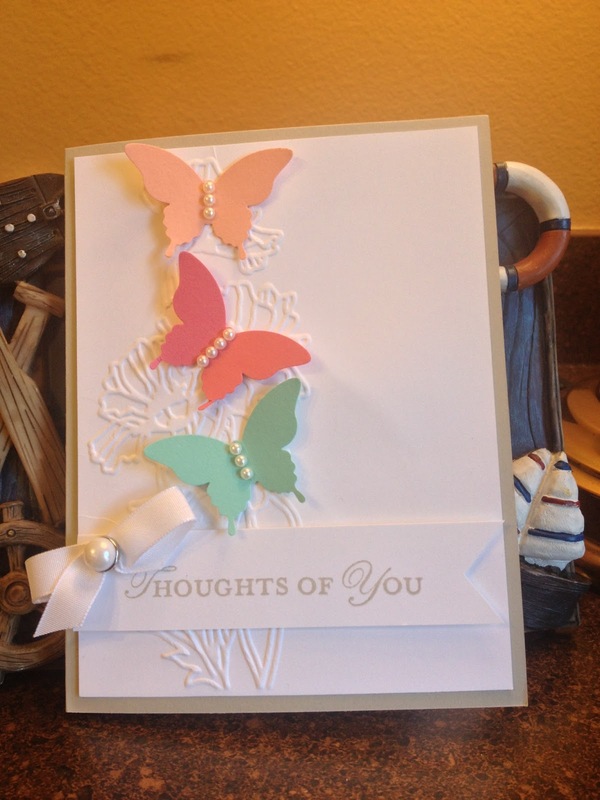 I used the Flower Garden embossing folder (pg 191) behind the butterflies. Oh and what do you think of our new Incolors? 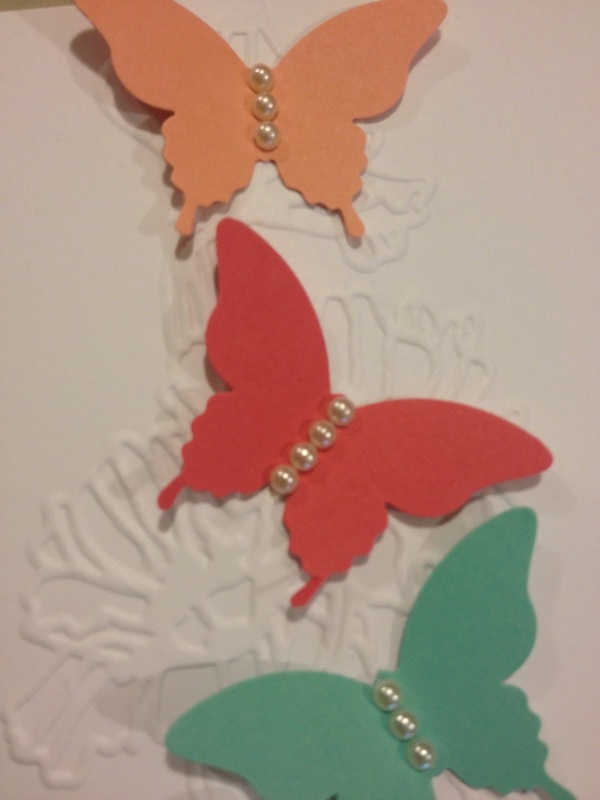 I used a different Incolor on each of the butterflies. I am starting to fall in love!!! I sure hope you find time to do some stamping today. Stamping is good for the soul! This Card is a Winner!